Preheat oven to 160°C (325°F). Place raisins and rum in a small saucepan over medium heat and bring to a simmer. Cook for 2 minutes or until liquid is syrupy and raisons are softened. Following the packet mix instructions, combine the brownie mix, melted butter, eggs and chocolate chunks to make the brownie batter. Add the raisin mixture and mix to combine. Spoon the mixture into a lightly greased 20cm square cake tin lined with non-stick baking paper. 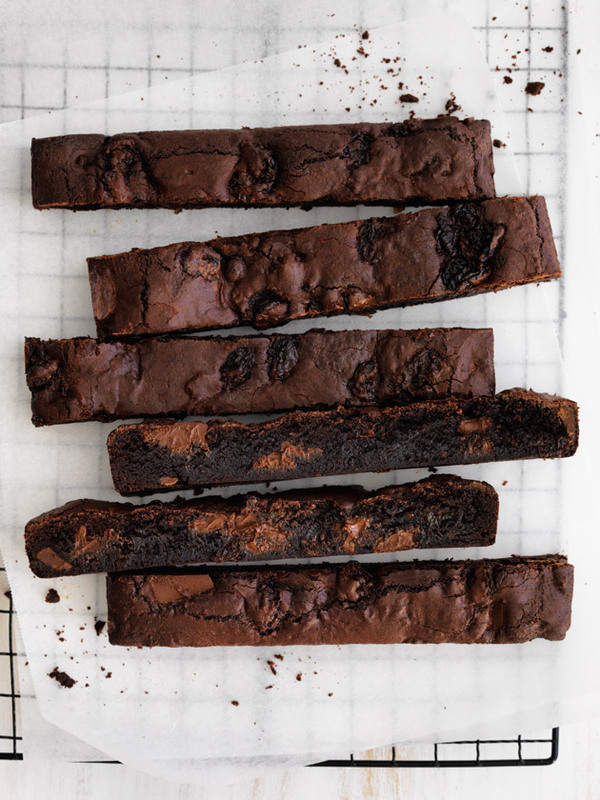 Bake for 45–50 minutes or until the brownie is set. Set the brownie aside to cool in the tin for 10 minutes. Slice and serve warm or set aside to cool completely in the tin before serving. Makes 16.